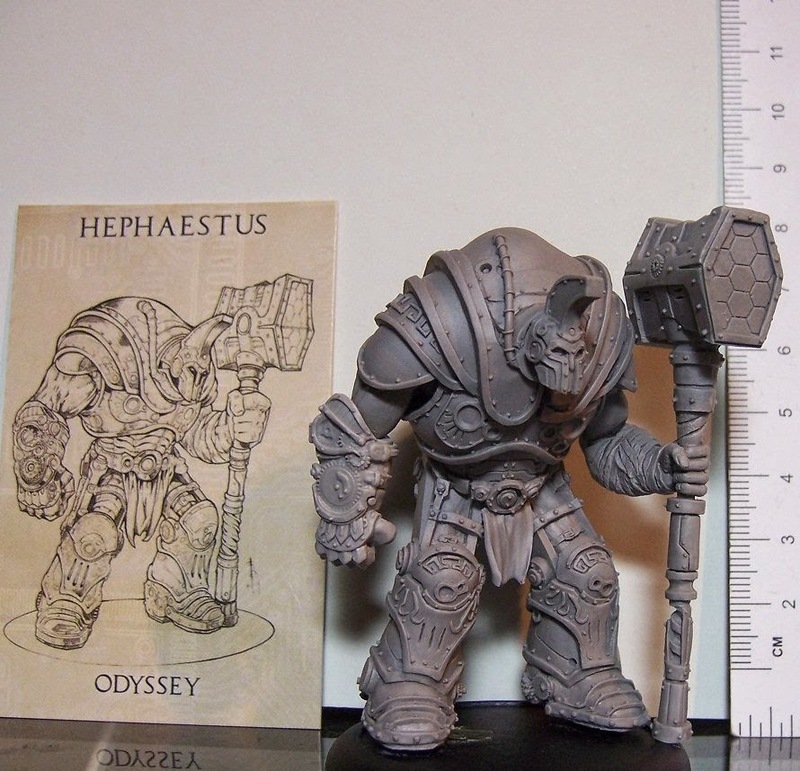 Hephesto's Forge: 2015 - I - So what's next then? 2015 - I - So what's next then? Hello again everybody. First of hope everybody had a fantastic, hobby-filled holidays period and lets make it a great 2015 as well. One of my Christmas gifts. Has been quite a while since I've had the time and energy to do much with my little blog, mostly due to a couple of months of weird working times and shifting between temp jobs while on the lookout for something worthwhile to spend my time on. Naturally not a real reason not to keep the blog going, but simply didn't get into the hobby and hobby-related typing mood for a while. Managed to get back into some painting by the end of November again though, so time to get some pictures sorted out, sharing some cool models and have a look at some new products and rulesets. For 2015 I'll be aiming to get a bi-weekly, big post sorted out on the weekends with what I've been working on, interesting news and whatever new goodies that happen to pass through my hands. Good bit of fun, might be interesting for some of you to read and helps as an extra bit of incentive to get models finished. But on to some of the things I've been up to lately. Having picked up quite a few models over the last few years it is rather easy to get distracted and drift from model to model. Luckily we have social media these days, so I've opted to join in on some online, monthly challenges. 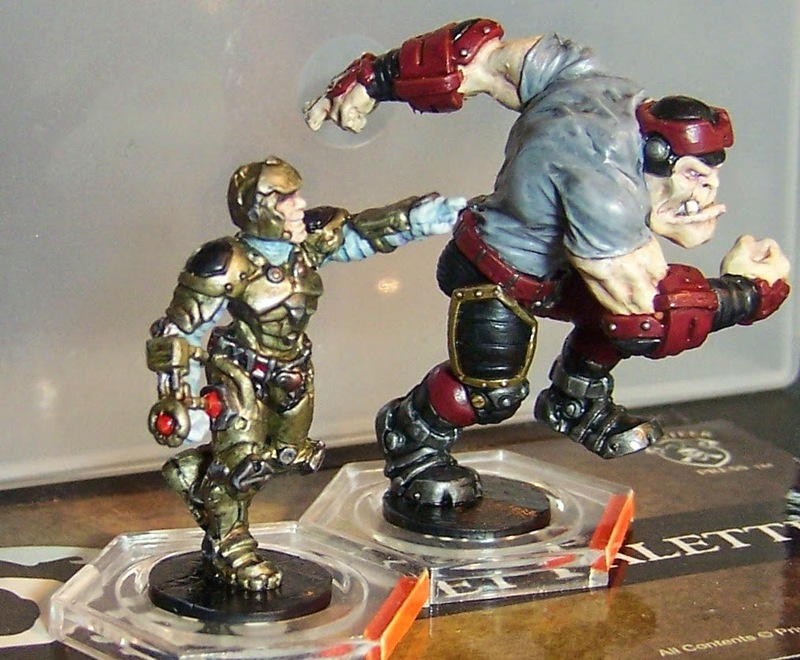 As a result the coming months will see quite a few Mantic Games, World of Twilight and Tor Gaming models pass by. 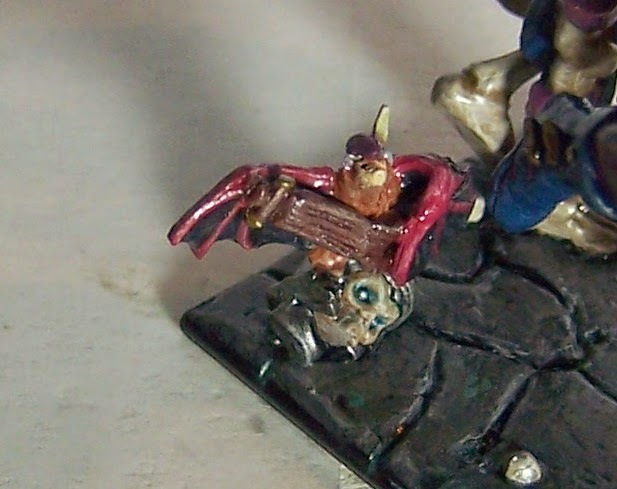 Accidentally stumbled across the Mantic Madness Facebook group a while back, tons of very cool, creative projects in there. They also run a monthly challenge where you 'oath' to paint a set of minis by the end of the month. Though I certainly haven't manage to finish all my models each month these last three months, the continual updates from other folks as well as having a bit of a deadline does mean the models get worked on (check out the group HERE). Two custom support coach models, one converted Sphyrr from Mantic's Deadzone. 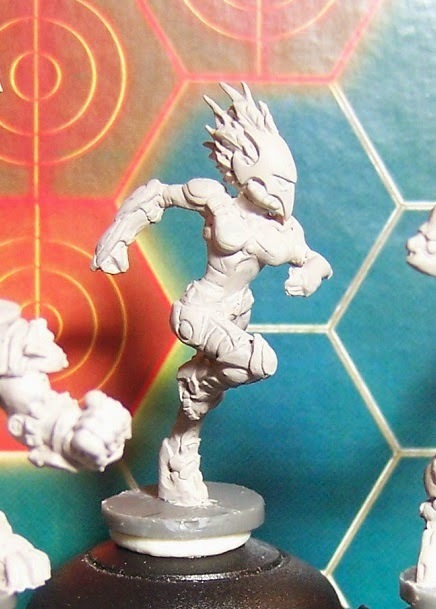 The other is a slightly beefed up model from ThunderChild Miniatures (link) with some techy bits added. Rather fond of the eye piece myself, screams Dragon Ball Z. I'd also suggest keeping an eye on ThunderChild this year, there's a rather interesting looking post-apocalyptic skrimish game in the works. Currently work is underway on a testmodel for the Asterians and my long unfinished Forge Fathers team. 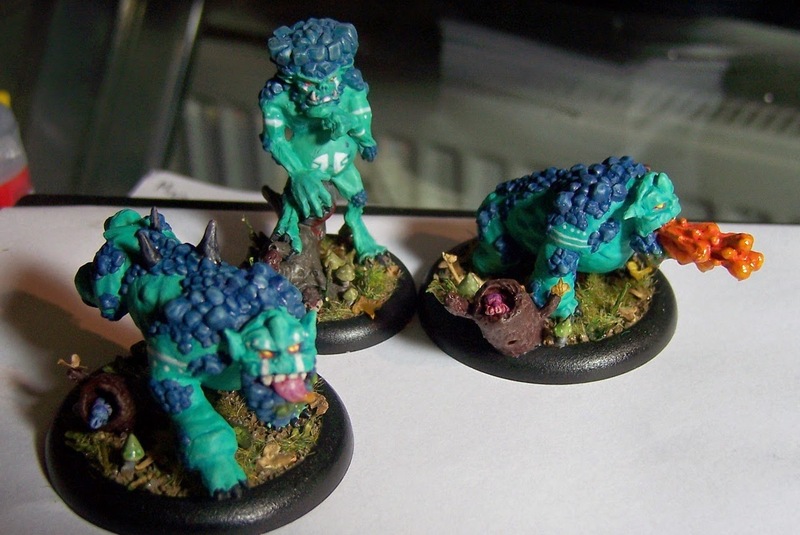 They will be fully painted soon, crossing off one of my long-term hobby bugbears. 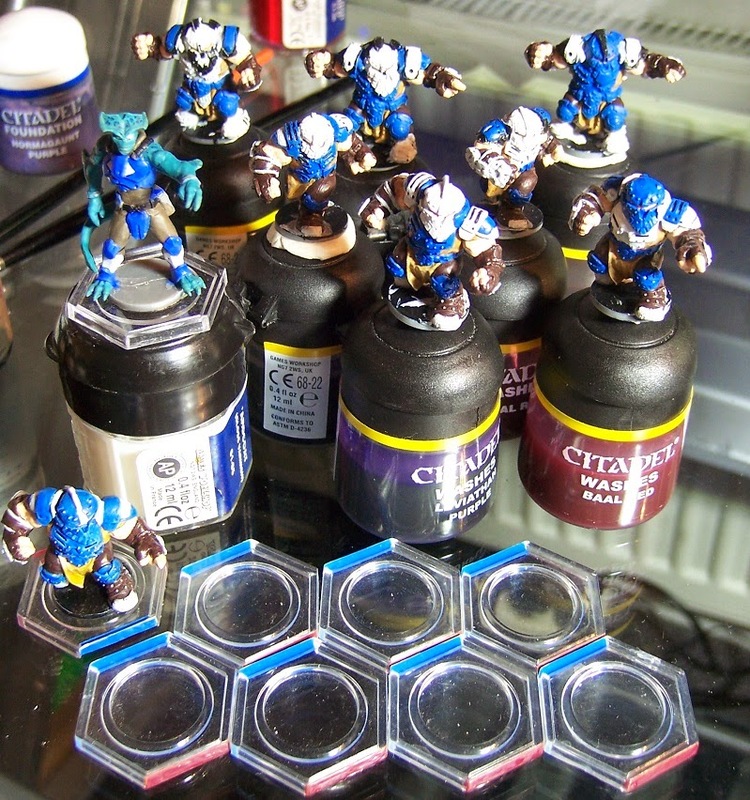 For some reason these poor guys kept getting pushed aside, despite being some of my favorite Dreadball minis. Been playing Relics for quite a while now, which is a lovely system with quite a few different spins of classical gaming concepts, but haven't managed to get much more painted than a display model or two. 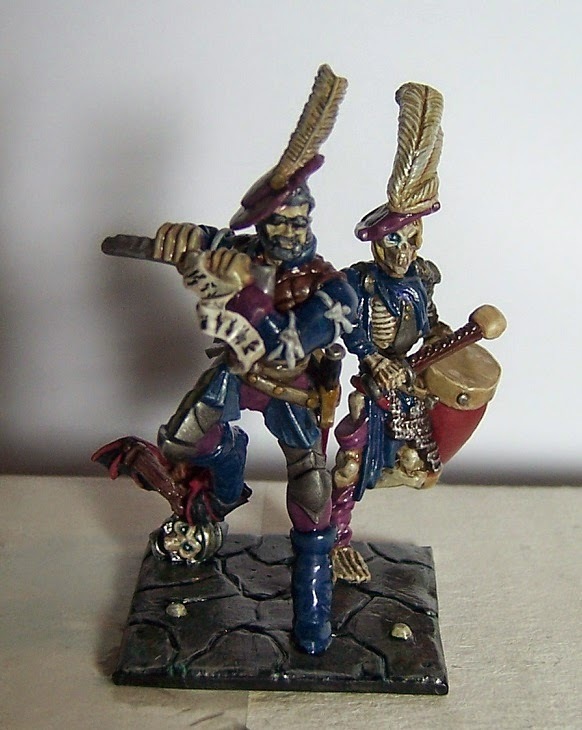 Plan to change that over the coming months by joining the Relics monthly painting challenge which is focused on get one or more units finished each month. 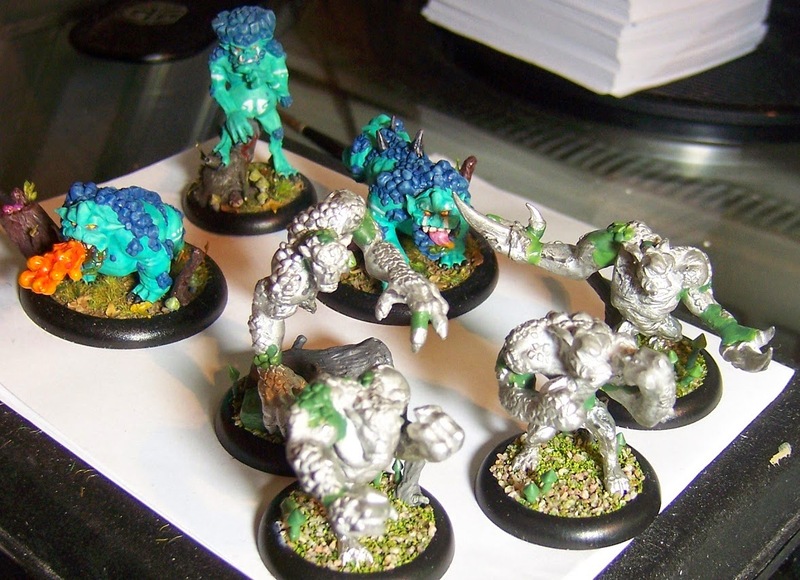 Given you only need a handful of models to play the game that should mean I could get my entire Orcnar collection painted in a couple of months. 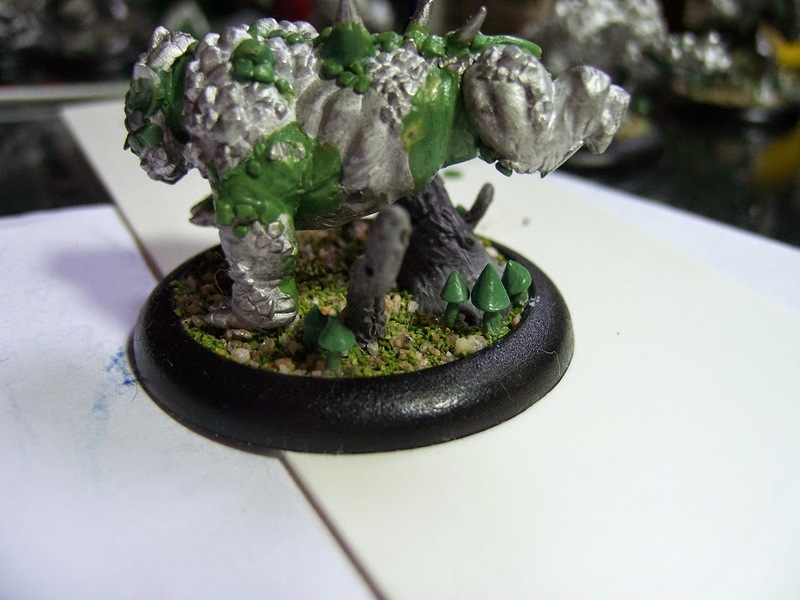 For those interested check out the Relics forum HERE and the Facebook group that has tons of talented folks sharing some lovely models HERE. So been slaving away on a green-jade focused color scheme with some custom base work. Lots of green stuff work on these and way too much time spent on basework if I have to be honest, but for such a relatively small number of models it really pays off (37 Orcnar models in total). Rather happy with the running Spatga model, which is a recut and resculpt of the more static standing model, rather satisfying when nights' worthy of slicing, dicing and sculpting works out! 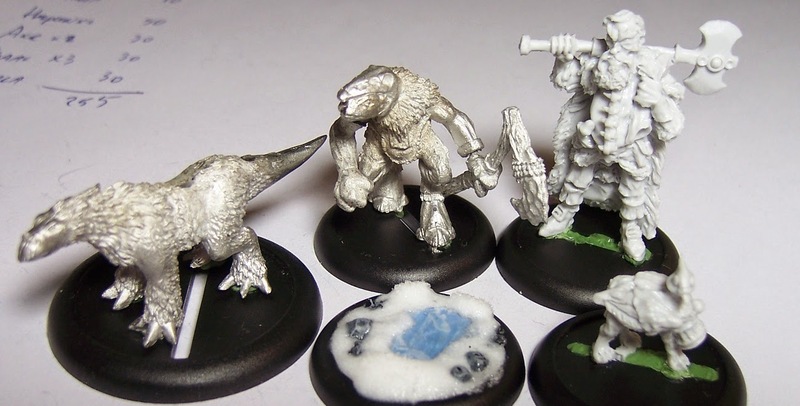 Anyaral: World of Twilight is a miniature range I've had my eye on for a very long time, so when the Kickstarter came by last year I had to jump in. The entire range is filled with characterful models of a Dark Crystal-esque charm and it turns out this is another skirmish-level game with tons of very interesting twists on different mechanics (more in a future update). Mike is running a community challenge where people can earn points for a few free models by painting up starter sets each month, which is of course also a great way to get word out about all these lovely models. So expect to see some WoT showing up on here in the next update as well. For the time being I'll just leave a shot of some building in progress for the Enguan Droba Hunters in here, along with Warploque Miniatures Christmas model. Going for an icy basing theme, another very time consuming approach that's taking a bit more experimenting than I'd expected/hoped. But again, with a total of 24 models hailing from the icy north it's well worth the extra time and effort. 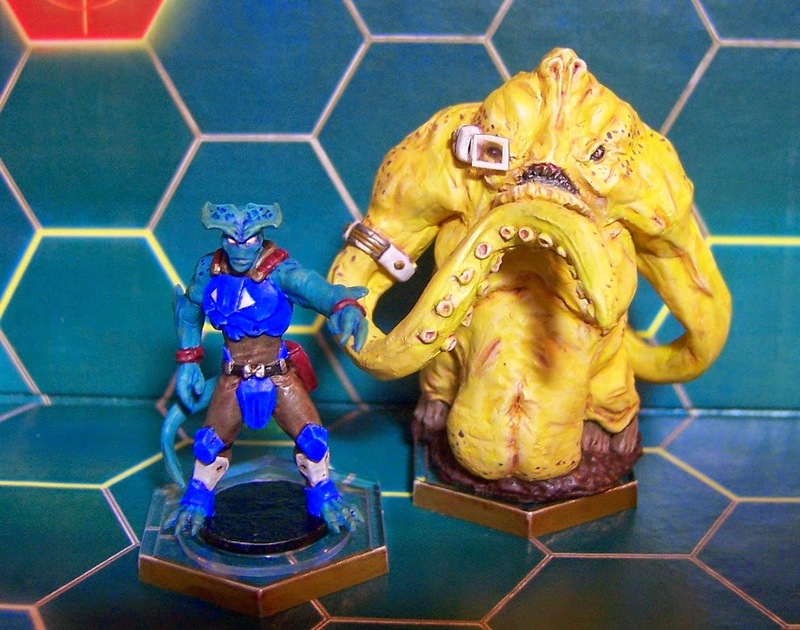 Naturally there's a ton of other stuff floating around the hobby corner, so the next few months will also see more ShadowSea & DeepWars minis, a few more 'Closer look at the models of X'-articles, some charity models, as well as a more in-depth look at some new rulesets I've picked up. Hoping to share some more info on Anyaral: World of Twilight, Counterblast, Arcworlde and Mars Attacks!. 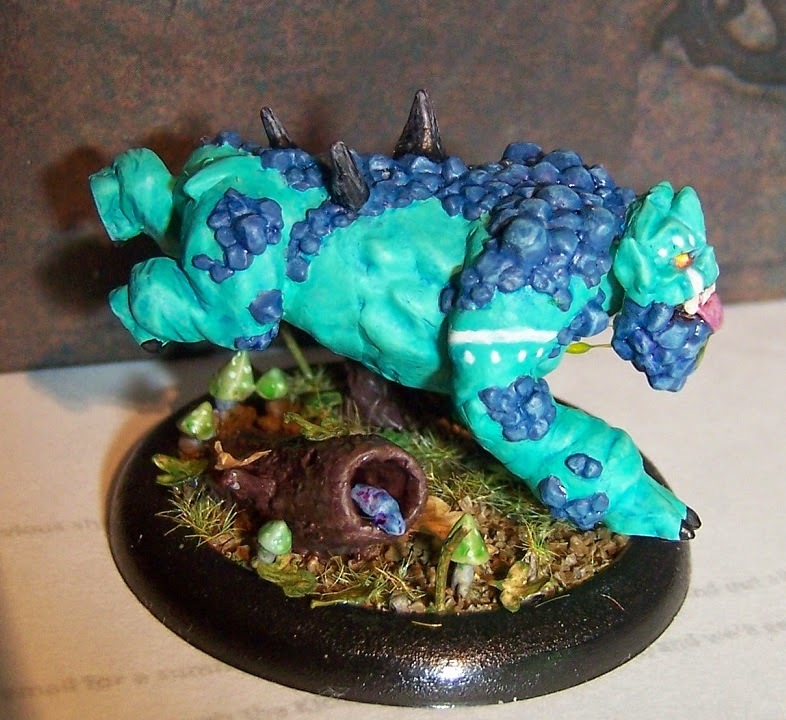 Then there's the model, and indirectly the community, that really got me back into painting and modeling last year. 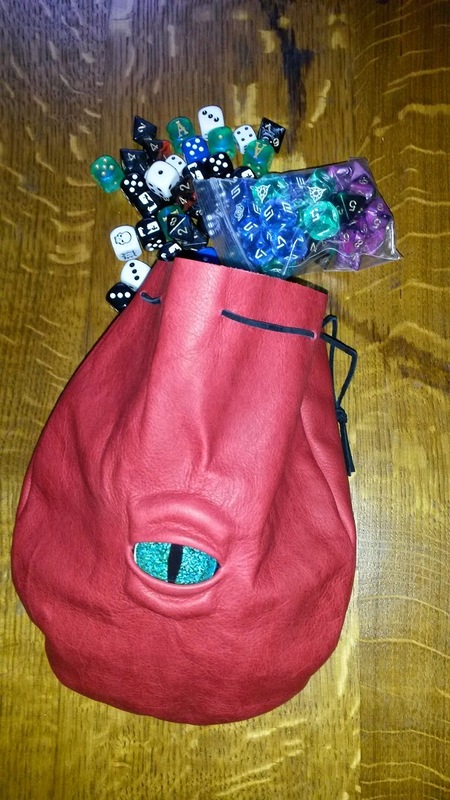 Mantic ran several Kickstarter projects last year and I jumped in on both the Kings of War 2.0 and Dungeon Sagas projects which promise to result in some great material. Finally I've noticed some of the messages and comments over the last two months haven't been showing up properly in my dashboard. My apologies if you've been waiting for an answer, for some reason Hotmail also has decided to dump notifications in my junk-folder. I'll be getting back to the few of you waiting for a response in the next day or so! Luckily there's only 2-3 messages like this, but still my apologies for keeping you waiting!